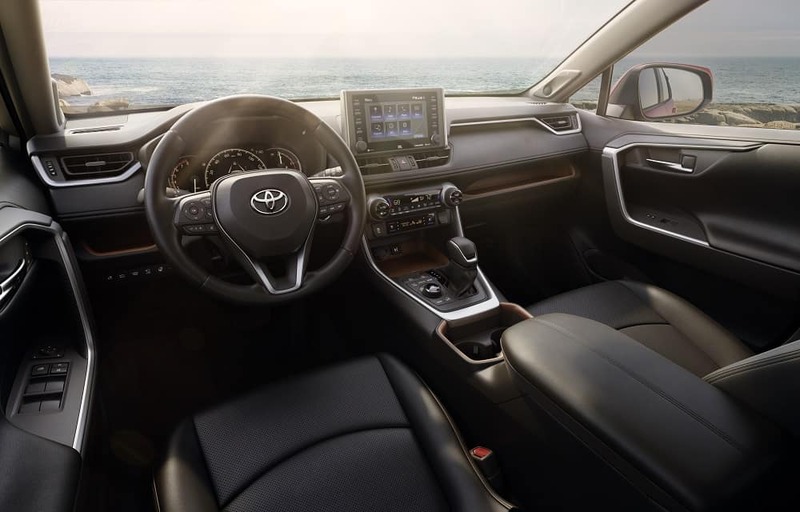 With power, durability, and a fun and sporty drive, it’s easy to see why drivers around Avon, Indianapolis, and Plainfield are such big fans of the 2019 Toyota RAV4. However, what about drivers with big families who need a lot of space? What are the cargo dimensions like in this vehicle? Is it large enough to handle any situation? Our team at Andy Mohr Toyota took a look at the 2019 Toyota RAV4 dimensions to see how it sizes up. Want to know if this impressive vehicle has the space you’re looking for? If so, then read on to learn all about the RAV4 dimensions. The Toyota RAV4 is a large and dynamic vehicle that will keep you feeling steady and secure even under less-than-ideal driving conditions. It has an overall height of 67 inches, including the antenna, and an overall length of an impressive 180.9 inches. The track from the front to the rear covers 63 inches, leaving you with a vehicle that’s large enough for whatever adventures you plan on having. 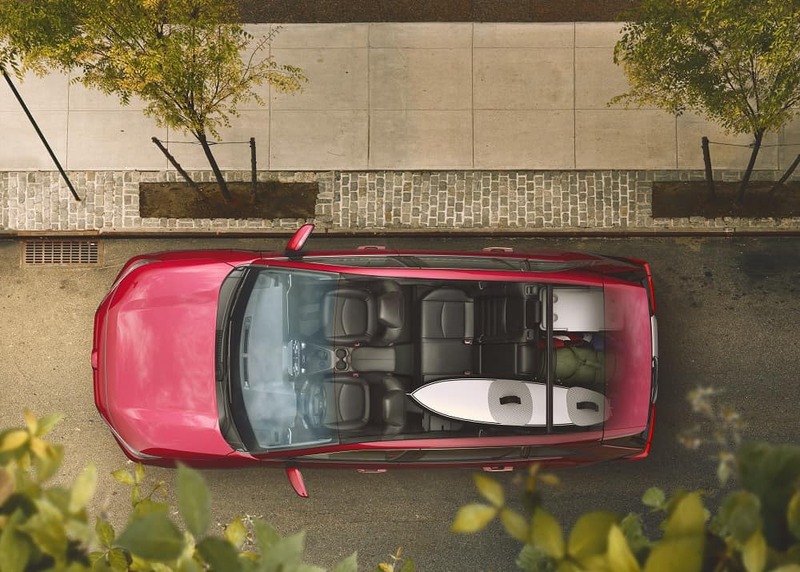 You’ll have space for all your gear in the Toyota RAV4. It comes with enough room for you to pack everything you’ll need for even your biggest adventure, from bicycles and camping gear to sports equipment and everything in between. You get 37.6 cubic feet of cargo volume behind the rear seat, which should be enough for all your kids’ backpacks and school equipment. Need even more room? Not a problem! Behind the front seat of the Toyota RAV4, you end up with an astonishing 69.8 cubic feet of space—perfect for packing whatever you need for your next journey. With all your gear safely stashed, you’ll be able to spread out and relax in style thanks to the roomy interior of the Toyota RAV4. It offers 37.7 inches of front headroom with the moonroof, 54.3 inches of front hip room, 41 inches of front legroom, and 57.8 inches of front shoulder room. In total, you end up with a passenger volume of 98.9 cubic feet—plenty of room for all five of your passengers to stretch out and relax. The Toyota RAV4 comes with two separate wheel sizes, based on the trim level you opt for. The LE and XLE both boast robust 17-inch wheels, although the LE comes with silver 6-spoke wheel covers and the XLE has 5-spoke silver alloy wheels. Whichever one you opt for, both provide you with reliability and control while out on the road. Meanwhile, the Toyota RAV4 XLE Premium comes with 19-inch wheels that are multi-spoke super chrome-finished alloy for a striking and dramatic look that drivers love. Now that you know all the ins and outs of the Toyota RAV4 dimensions, why not come inspect it firsthand? Head on over to Andy Mohr Toyota today to take a look at this popular vehicle. You can discuss its features with our friendly and knowledgeable staff and even schedule a test drive for yourself. We’ve helped drivers near Avon, Indianapolis, and Plainfield find the right vehicles for their needs and lifestyle—and we can’t wait to help you, too!